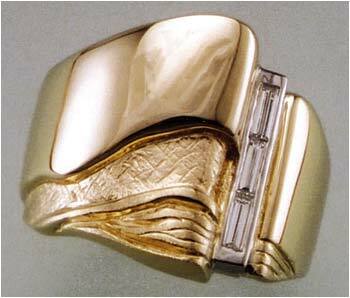 14 kt yellow gold and platinum. Baguette diamonds, 3 stones for tw. 38 ct.